LIKE NEW! ONE OWNER on the Bayfront! Gated townhome style condos with a contemporary flare. Enjoy spectacular sunsets from your private deck or while relaxing next to the Bay front infinity edge pool. Built with impact resistant windows and 10' ceilings in living room & dining room. Boat slips made of concrete pilings and wood decking; boat slips are 9.5' x 22' with water & electric. Deep water access & boat launch, not to mention water access for wade fishing, paddle/kite boarding, kayaking, windsurfing, etc. Boat slip sold separately @ $40,000 each. 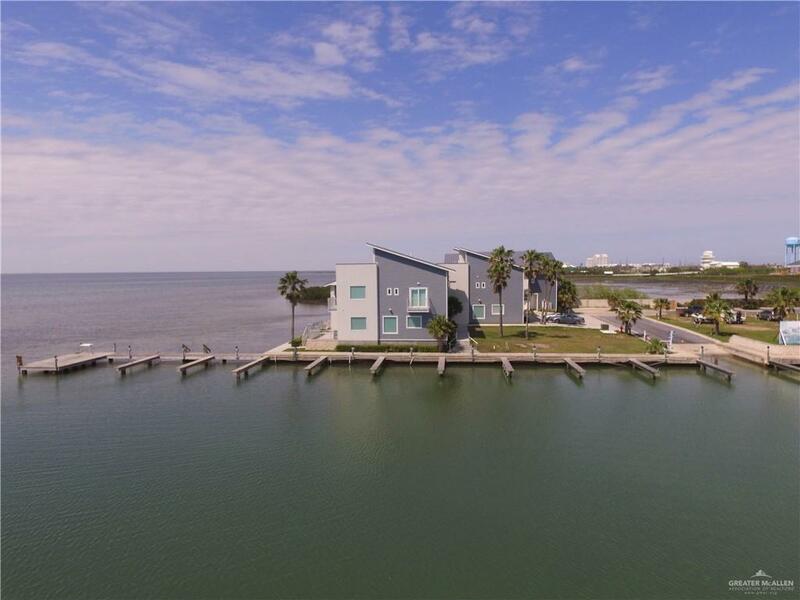 Great location near Sea Turtle, Inc., John L. Tompkins park, the World Birding Center, and the SPI Convention Center. 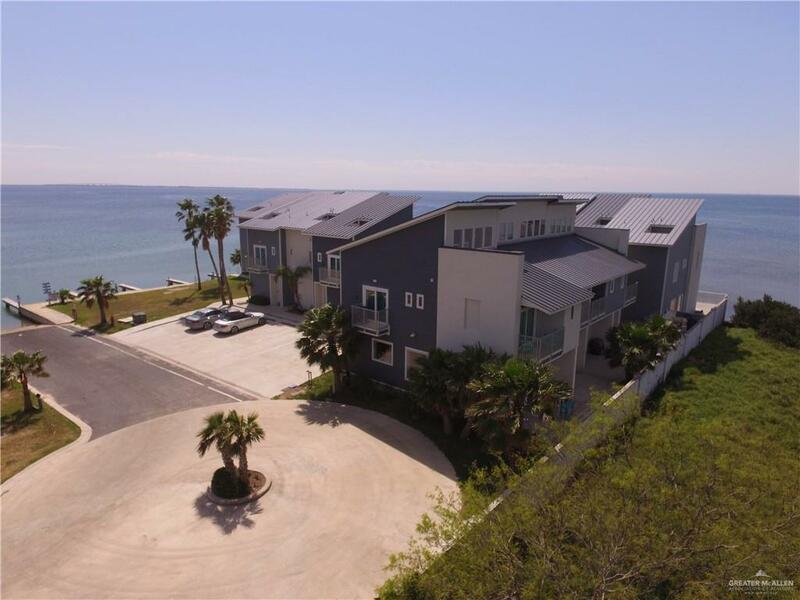 Attention fishermen, convenient access from car to unit for loading/ unloading, plus a boat ramp only steps away. Unit is being offered completely furnished. Community Amenities Gated Entrance Other Pool Privileges Property Owners' Assoc. 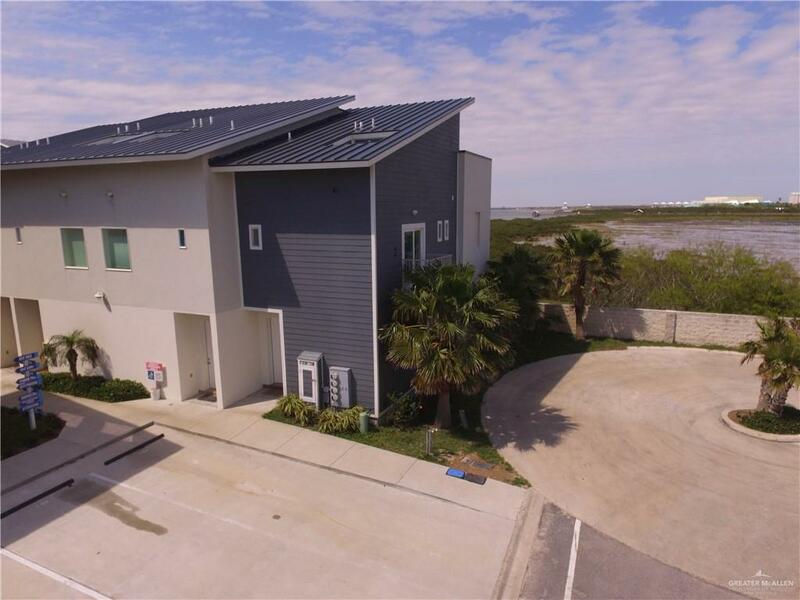 Listing by Xavier H. Gonzalez of Zapphire Real Estate Group.